Please install the Unity Web Player to play 3D Fire Fighter Parking! The sirens are blaring, but there's nowhere to park! Drive the fire truck over to the building to get as close as possible to the building for the responding call. 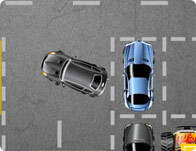 Be sure that you don't crash as you quickly navigate these tight corners inside these tall towers and parade of driving cars. Use your mouse to move the camera. Use WASD to drive the fire truck.